Global commerce, reliant on ever-increasing development, makes it all too easy to pick a product off the shelf, take a quick glance, bring it up to the counter without a second thought. The many facets of production are often ignored by the consumer, leaving opportunities for manufacturers to commit harmful actions against the environment with minimal public outcry. In a world where it’s so simple for companies to consume resources with reckless abandon, who can we count on to mitigate the damage? One Brazilian booze brand is drawing up a case study in conscientious capitalism. An hour’s drive outside Curitiba lies the historic city of Morretes, home to Novo Fogo distillery. 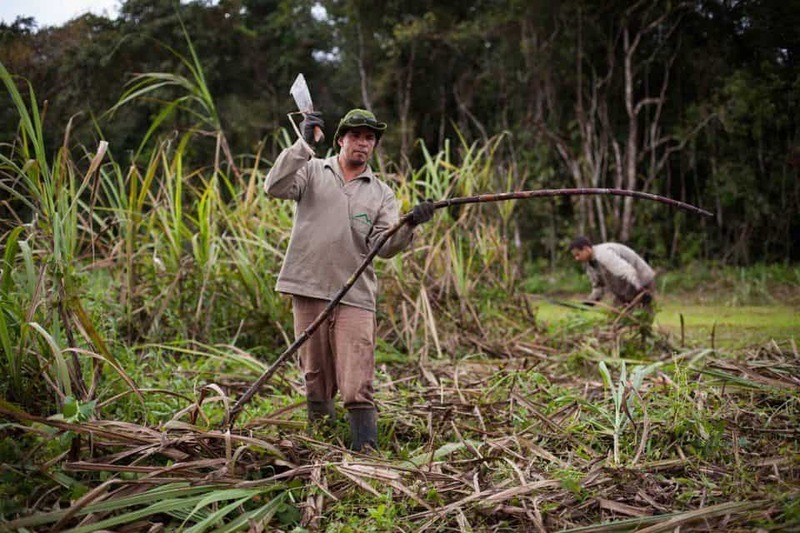 The distillery rests in a precarious position: their chief product is cachaça, a distilled spirit composed of fermented sugarcane juice, and the production of cachaça comes at a cost to the environment. According to Novo Fogo, almost all native Brazilian tree species used to construct cachaça barrels are currently endangered; for its part, the brand uses repurposed American oak barrels, a sustainable choice that is now a growing practice in the industry. The clear-cutting of the Atlantic Forest, a region treasured for its status as a biodiversity hotspot, has led to 85% of the original forest being cleared. Though Novo Fogo is a distillery first, their commitment to environmental sustainability has led to a number of exciting ventures for the company. Axinte and his brand stand above a sea of mere catchphrases, sowing seeds of action in the depleted jungles from which Cachaca is born. Enter the Un-Endangered Forest, reforestation project that aims to ensure the longevity of the many species of the Atlantic jungle. A key champion of this project is Brazilian botanist, Silvia Ziller. Having devoted her life’s work to the impact of foreign and invasive plant species on the Brazilian ecosystem, she provides crucial information to the Novo Fogo team on how to cultivate a thriving and wholly native Brazilian forest. Following a partnership with a local 42-acre private reserve owned by Pousada Graciosa, the team is now tasked with clearing invasive species, procuring native saplings from a local nursery, and then planting and arranging the young trees in a manner that will allow each one to grow to their full potential. But some trees are so rare that saplings cannot be found; in those cases, Novo Fogo’s sugarcane field team scours the region with GPS trackers to find and mark the location of these endangered trees. They return later in the year to collect seeds that can be planted in the reforestation project. As of today, Novo Fogo has planted 690 native trees, with thousands more in bloom on the not-so-distant horizon. It’s an aggressive move, particularly for a booze producer in this part of the world. But Axinte worries that it’s hardly enough. “Rainforest deforestation is an issue that literally keeps us up at night. Our objective is to ensure that already-endangered trees like amburana, jequitibá rosa, bálsamo, and others do not become extinct — at least in our region.” The growing popularity of cachaca beyond Brazil is affording Novo Fogo a global platform with which to advocate for these efforts. 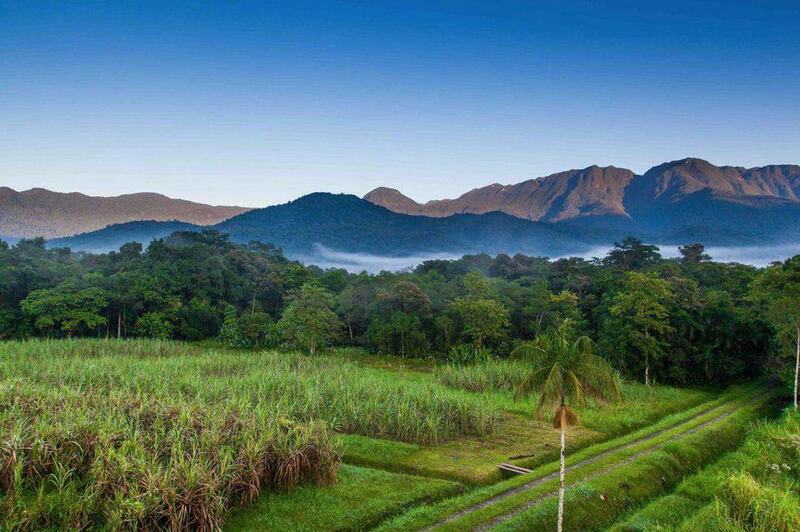 As the Un-Endangered Forest expands, gradually establishing itself as a small-scale resurrection of the once-mighty Atlantic Forest, Novo Fogo feels the positive impact of the forest within their own business. The distillery is committed to organic farming, a subset of which is the exemption of any chemical pesticides in their farming process. Luckily for them, as the forest and its undergrowth surges, it brings animal life with it. The partners have recorded 88 separate bird species residing within the forest, the perfect task force to pick their sugarcane clean of insects. The trees themselves act as massive purifiers, cleaning pollutant gases from the air and ensuring that the flavor of the cachaça will be largely untainted.